Garnet: Name a character that you think is evil/dark. Villains scare me! You never know what they are going to do. Some evil and dark characters you can just feel as you read the book. The book I am currently reading(Breathe by Lisa T. Bergren) has a sheriff that is corrupt. Oh my, he scares me and I know the hammer is going to fall here pretty soon because I'm 85% into the book. The end is coming! It makes me bite my nails. I don't like this evil guy. I don't like characters that want to inflict pain on others. Another evil character is Carpathia(the anti-Christ) in the Left Behind books. Pure evil right there! Amethyst: Name a book you think of as regal. Can I change "regal" to epic? I'm not sure if you would consider Gone With The Wind regal, but it sure is epic and was the first book that came to mind when I read the instructions. I've read GWTW a couple of times and love it. There really is something regal about the era. Slavery and the Civil War were awful yes, but chivalry where men treated women with respect to me was something to be admired. Aquamarine: Name a character you think of as weak, or as more of a follower. I have a feeling I might reference Pride and Prejudice a lot in this post. But I think of Mr. Collins as weak and a follower. He was very swayed by the wealth of others(especially Lady Catherine), and willing to kiss the feet of anyone that could further his self-importance. Diamond: Name a book that you love, but isn't very well known. Christy by Catherine Marshal. I think the TV series made it popular for a time, but I don't know that many knew that it was actually a book. I loved it way better than the series and bring it out every now and then to re-read. Emerald: Name two characters who balance each other out. This is another reference to Pride and Prejudice. I think that Darcy and Elizabeth balance each other out well. He has a propensity to be proud and look down his nose at people and she seems more grounded even though she can be proud too. He elevates her and she helps him to be more grounded. Pearl: Name a character that is loyal. You must read Lisa T. Bergren's Waterfall series! Luca is so loyal and soooo stinkin swoon-worthy(if you like swoon-worthy men). Anyway, yes, loyal! He was the first character that came to mind. Ruby: Name a book that aggravates you/ makes your blood boil. A Passion Redeemed by Julie Lessman. Honestly probably any book written by Julie has the potential to make my blood boil and have a character aggravate me. But Charity in this book had me wanting to throw the book across the room! I despised that girl! BUT as the title says "redeemed" was central to the story and Charity has become one of my book favorites :) If you haven't read Julie Lessman's books before please remedy that. Full of passion(with a purpose, Julie's tagline), and so full of Christ's redemption for her characters that start out unlovable, but worth seeing what the Lord can do with a contrite and broken spirit. Peridot: Name a supporting character you preferred to the main character. I think that Cazien stole the show in The Ryn and The Remedy by Serena Chase. 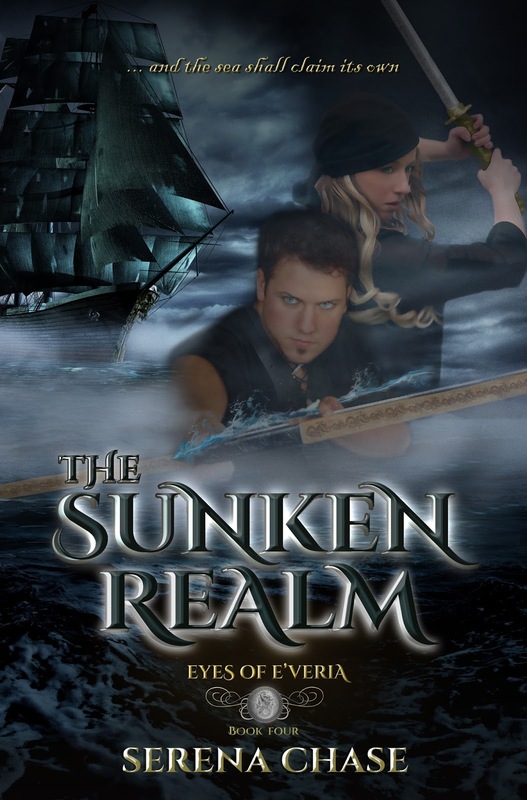 While yes, Sir Julien was the main character heartthrob in these two books a small appearance by pirate Cazien De Pollis had fans clamoring for him to have his own story which Serena produced for us in The Seahorse Legacy. So in this case a supporting character eventually became a main character. If you haven't read this series...YOU MUST! Sapphire: Name a book that you found to be calming. I find a lot of books to be calming but especially old favorites that I tend to read over and over. There is something about reading a favorite that is calming and relaxing. My favorites to read over and over are the Twilight series(I know, why would a 50 year old woman be into that teen stuff? but it really is like a comfort food to me). I love to re-read the O'Malley series by Dee Henderson and the Californian series by Lori Wick. Those are all comfort books for me. Opal: Name a book with a pretty cover. I love the covers of both of these! Topaz: Name a book with a resilient protagonist. I think I'm going to go with Miranda on this one. Cinder's character in Cinder is definitely resilient. Poor girl is practically falling apart(literally) and she still has gumption! And what about poor Iko? That poor character does literally fall apart and get put back together several times! Blue Zicron: Name a fictional friendship you would love to be a part of. Ok, this is going to go back many many years to when I was a young girl. I always wanted to be a part of the Bob Whites in the Trixie Belden series. There were 7 in the club and I always thought it would be wonderful to have such good and close friends as those in the club. And to solve mysteries would be a bonus! So there you have it! Thanks again Miranda for tagging me! I enjoyed it! Loved your post Julie! So many great books listed here. I agree; villains are awfully hard to read about. 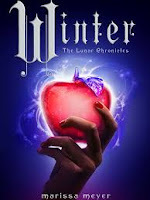 I so love the cover of Winter; I think it's the prettiest of The Lunar Chronicles! My mom and I watched the Christy show and loved it, so I read the book a few years ago. It was definitely a lot deep that the show, but still good. And oh dear, Mr. Collins. What fan of Pride and Prejudice can say that name without either laughing or cringing (or both)? Thanks for coming by and reading it Miranda! Happy weekend!